World Jewish Congress president Ronald Lauder continued his recent trend of criticizing the State of Israel’s policies in the New York Times last week. A true friend or brother would speak directly, as Lauder can, due to his closeness to Prime Minister Benjamin Netanyahu and other Israeli leaders, and then leave it up to them to make their choices about Israel’s future, as their voters elected them to do. Unfortunately, that is not what Lauder chose to do. Why is it friendly or brotherly to malign Israel on the pages of a newspaper with a long track record of criticizing Israel not only in its editorials but also in news fit and unfit to print? This was out of character for Lauder, who has defended Israel in countries around the world for decades as the leader of the World Jewish Congress, Jewish National Fund, and the Conference of Presidents of Major American Jewish Organizations. There is no gainsaying that Israel owes him a debt of gratitude for all he has done for the Jewish state. One reason Lauder gave for his criticism is the much-maligned Jewish Nation-State Law. But in the same newspaper, former Jerusalem Post editor-in-chief Bret Stephens pointed out that the bill’s “most controversial provisions were stripped from it before passage” and that it is not “remotely as noxious as what is happening in other Western democracies wrestling with competing claims between national identity, civil liberties, and cultural pluralism.” He brought to attention worse legislation in Denmark and said the international community should reserve its outrage for Syria torturing hundreds of people to death. Falling into the trap of opposition politicians in Israel and international media with an anti-Israel agenda, Lauder accuses the Knesset majority that passed the bill of “tarnishing equality,” because that key word — equality — is not in the new law. It is also not in any of the other Basic Laws passed by Israel, including Basic Law: Human Dignity and Freedom, where it belongs, more than in a law about Israel being a Jewish state. Does Lauder believe that the administration of the late Yitzhak Rabin, which amended Basic Law: Human Dignity and Freedom — without adding the magic word — also tarnished Israel’s equality? The main target in Lauder’s piece was “the Orthodox,” whom he paints with one brush, as if there are not huge differences within Israel’s vibrant modern Orthodox, nationalist religious Zionist, and chareidi (ultra-Orthodox) communities. Lauder refers to “Orthodoxy” as “a radical minority” and suggests that it alienates millions of Jews worldwide. In truth, Orthodox Judaism is the fastest-growing branch of our faith in the United States. While Reform synagogues are closing and the Conservative movement is struggling to attract young people, Orthodox synagogues are full and expanding. 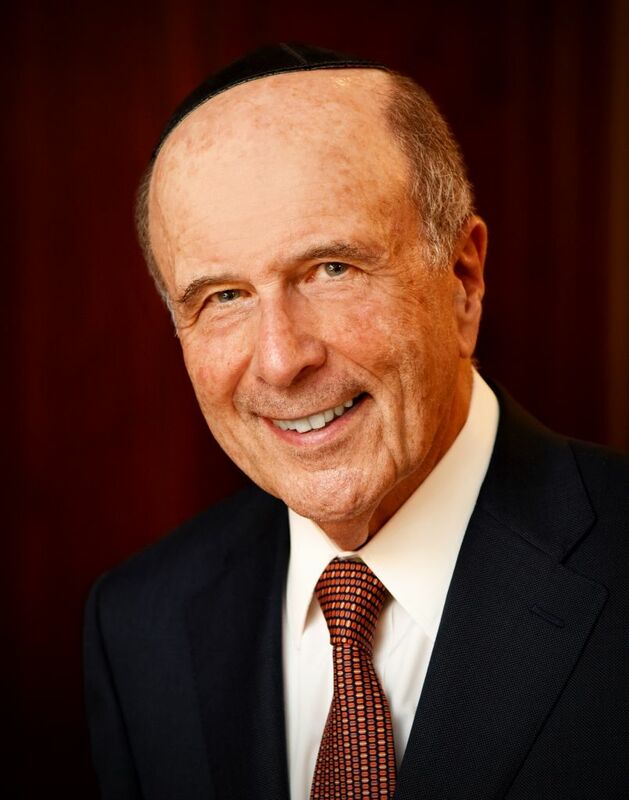 Perhaps Lauder should use his pulpit in America’s top newspapers to fight against assimilation and intermarriage and ensure that America’s other movements are as successful in invigorating Jewish people as the Orthodox. Far from “crushing the core of contemporary Jewish existence,” when members of Israel’s government encourage Orthodox traditions they are carrying out policies supported by their people. Our Orthodox traditions have kept the Jewish people going for more than 3,000 years. Orthodox politicians in Israel have expressed support for compromises, including Naftali Bennett, who heads the Orthodox Bayit Yehudi party and boasts that he built an egalitarian prayer site at the Western Wall, and Rabbi Ovadia Yosef, the late spiritual mentor of the Sephardi chareidi Shas party, who endorsed and enabled the passage of the Oslo Accords that Lauder championed. Lauder warned that if Israel continues its policies, future leaders of the West will become hostile or indifferent to the Jewish state. Such threats ring hollow, considering that after two decades of Israel being told it would be shunned if there was no diplomatic process with the Palestinians, Netanyahu is being warmly welcomed on six continents. What Lauder gets right in his piece is his call for unity. Clearly, Israel needs solidarity as it enters its eighth decade of existence. I agree that we must “stop sowing division among ourselves.” I hope that in his next submission to the Times, Lauder will do just that. The author is co-president of the Religious Zionists of America, chairman of the Center for Righteousness and Integrity, and he serves as a committee member of the Jewish Agency. He can be reached at martinoliner@gmail.com. Next articleDating Forum: All Out of Love? Lauder is typical of the assimilated, secular or reform ‘leadership’. It is becoming a non-leadership and less and less relevant. It is a modern version of the Judenrat. Got news for you Lauder et al, the Oslo ‘accords’ and the ‘disengagement’ were disasters for the Jewish State. There is no ‘2-state solution’. It is sheer fantasy pushed by the globalist elites. There is already a fakestinian state. It is called Jordan. You and yours should have looked for a solution there before pushing the terrorists from Tunis on us! !